Looking for something different to do with your friends or family? Frisco provides plenty of interesting opportunities for fun and learning for your crew. Visit some of the unique museums on our list and you are sure to have a good time and discover something new. Gamers of all ages will revel in this museum dedicated to preserving the rich history of videogames. In addition to their collections of consoles and games throughout history, the National Videogame Museum also works to educate others on how they can be a part of the future of gaming. They even grant a scholarship to students entering tech fields. The Museum of the American Railroad provides an understanding of how exactly railroads and trains helped shape our country. View different train models, visit the Discovery Center and take a ride through history. 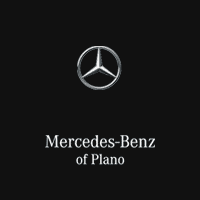 Whether you are looking for some great restaurants to try or some unique activities, the team at Mercedes-Benz of Plano is ready to help. Contact us to find out our favorite spots in this part of Texas today. 0 comment(s) so far on What are the Best Museums in Frisco?